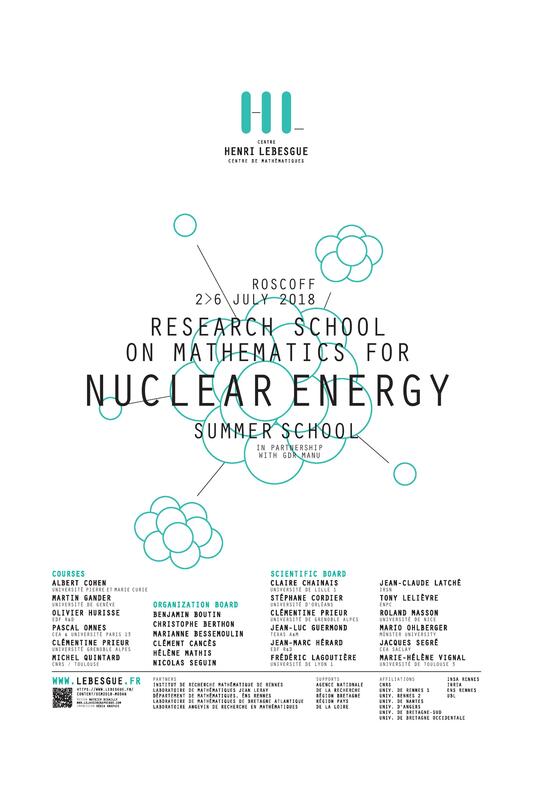 The aim of this school is to promote the exchanges between researchers and the training of young researchers from France on the development of mathematical and numerical methods for the nuclear industry. The school will take place at the Roscoff Marine Station. Six courses of three hours will be given by experts of subjects representative of the GdR MaNu. Contributed talks will also be proposed. All the talks will be given in french. Some invited presentations will complete these courses, as well as a poster session where you can present your latest contributions, by mentioning it during registration.